“The Horses Stayed Behind”, on show at the Dowse Art Museum in New Zealand’s Lower Hutt. The artist behind New Zealand’s “The Horses Stayed Behind” World War One war horse project is working on another project focused on WW1 Kiwi involvement in the Middle East. For The Horses Stayed Behind Cat Auburn asked horse owners from across New Zealand to donate a small clipping of full length hair from their horse or pony’s tail which she then made into rosettes, flowers made in the style of Victorian hair wreaths. These 500 Victorian-style pieces were the centrepiece of a large tapestry, 5m wide by a metre high. It was created in contrast to customary war memorials, often large and marble statuary. 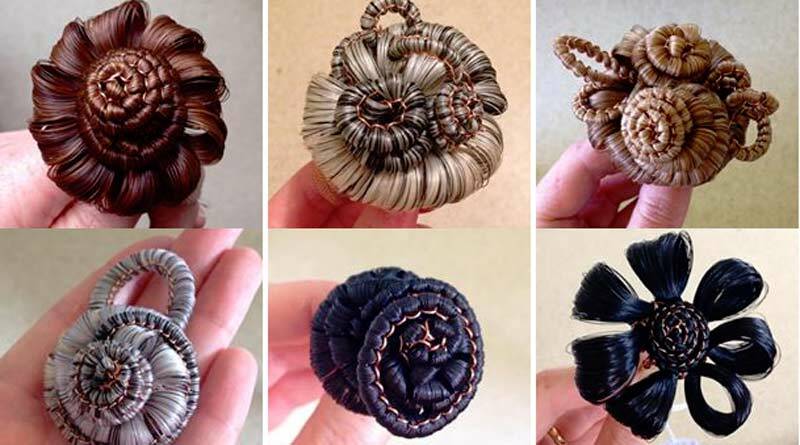 Auburn created each intricately woven horsehair rosettes from hair donated by horse owners throughout the country. Cat Auburn says that since she developed “The Horses Stayed Behind”, she felt that she had heard only part of New Zealand’s WW1 story in the desert region. Some of the horsehair designs used on “The Horses Stayed Behind” project by Cat Auburn. This prompted Auburn to put in motion another project, where over the next couple of years she will be taking an oud — a Middle Eastern string instrument, that was made with donated NZ horse hair — to be played at the different battle sites in the Middle East where the New Zealand Mounted Rifles and their horses fought. The Oud made with New Zealand horse hair will be played at Middle East battle sites where the New Zealand Mounted Rifles fought. While working in exhibition preparation at the Dowse Art Museum, Lower Hutt, Auburn noted that most of the artworks are not allowed to be touched. “But by not letting people touch, you cut out one of the major senses, and some people don’t necessarily engage with all the ideas in an artwork just by looking at it,” Auburn told Art News New Zealand. » The Horses Stayed Behind is on show at Tauranga Art Gallery until December 2.